An away team commanded by Worf investigates an archaeological site on a planet who's inhabitants were destroyed by war long ago. There's an explosion and the team are beamed straight to sickbay but Lieutenant Marla Aster is declared dead on arrival. The Enterprise stays to investigate the tragedy. Picard and Troi break the news to Lt. Aster's 12 year-old son, Jeremy, who already lost his father. Worf feels responsible and wants to reach out to the boy, Troi agrees but advises caution. Data asks Riker about grieving. Geordi finds explosives on the planet that have recently been dug up and disarmed, but by who? Jeremy watches home movies of himself and his mother. He's polite and brave to everyone, not expressing his feelings. Dr Crusher asks Wesley if he can talk to Jeremy. There's an energy discharge on the planet, it's not clear what it is, Troi senses a presence. Marla Aster appears in her quarters and greets her shocked son. She tell's Jeremy there was a mistake and she wasn't killed. Worf stops by and alerts Picard to this strange development. Marla takes Jeremy to the transporter room, so they can go down to the planet. The Captain forbids and Worf drags Jeremy away, Marla disappears. Troi explains to Jeremy that she wasn't really his mother, his quarters have turned into their house back on Earth, including Jeremy's cat. Marla wants to stay with Jeremy and make him happy, she can't understand Troi's resistance to this. The shields are raised blocking the energy from the planet and Marla and the house disappear. A blue light from the planet enters the ship. Jeremy's quarters become a house again. Marla explains that the physical beings on the planet destroyed themselves with war. She is a energy being from the planet, determined to make up for past tragedies and for Lt. Aster's death by looking after Jeremy and making him happy. Picard and Troi explain why that won't work is is bad for Jeremy in the long run. Troi uses group therapy with Jeremy, Wesley and Worf, which prompts Marla to leave. Picard must break the news to Jeremy and manages to be reassuring despite his issues with children. 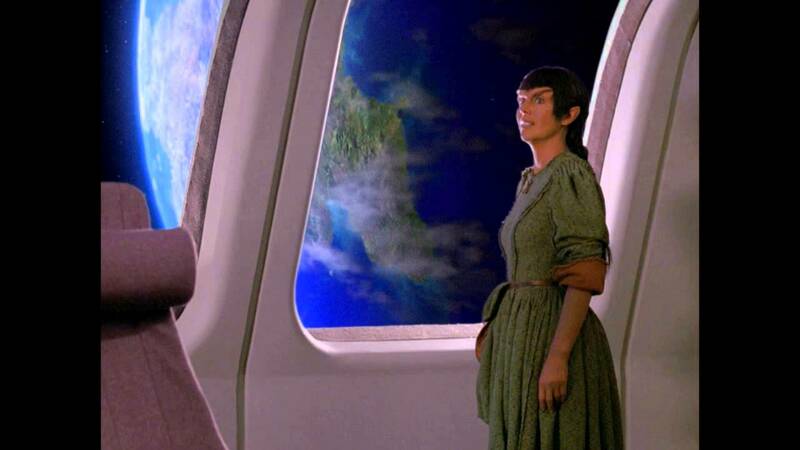 He expresses admiration at Troi's rolem which means working with the bereaved after the news has been delivered. Picard explains to Troi why he doesn't think children should be on starships, and I must say I agree with him on that. Picard doesn't hesitate to confront fake-Marla whenever she tries to take Jeremy off the ship. I'm slightly surprised the ship has an archaeologist, I thought Picard always dealt with archaeology and ancient civilisations because he really loves old stuff. In fact I'm surprised he wasn't on that away mission, he's been known to risk himself (and the ship) for his passion before. Data has a brief talk with Riker about loss and grief. He wants to know why every asks him to define how well he knew Lt. Aster, he doesn't understand why that has a correlation with grief. Riker can't explain it, but says that maybe human history would be less bloody if every loss was felt as though it were a loved one. Worf's feelings of responsibility about what happened under his command make him angry. He doesn't like that there's no enemy to face or seek vengeance from. 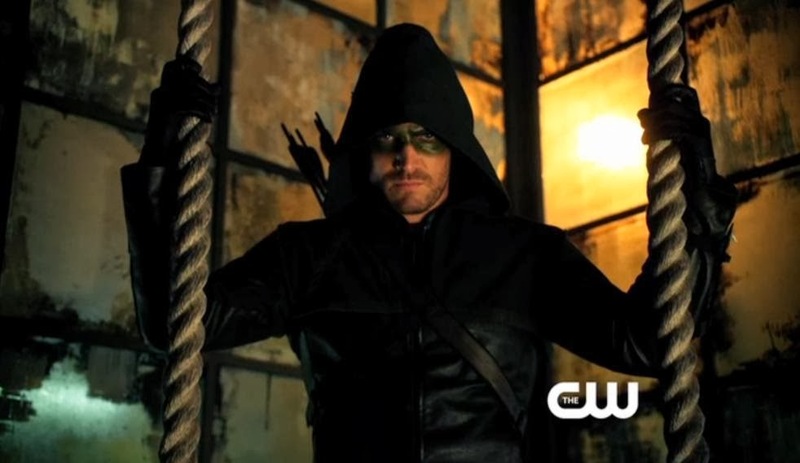 He wants to reach out to Jeremy, who is now an orphan like him. Worf finds comfort in Klingon rituals and invites Jeremy to join him. At first Jeremy is just polite with Worf, as Star Fleet kids should be with officers. Once Troi has helped Jeremy express his anger at Worf the boy is able to accept some comfort and joins Worf in the bonding ritual, which involves lighting candles and speaking Klingon. Troi accompanies Picard when he breaks the bad news to Jeremy and she talks through the weight of responsibility the Captain feels. She does the same for Worf, helping him to articulate his anger and feelings of responsibility. She also advises caution when Worf decides he'll reach out to Jeremy. She explains the guilt a bereaved child can feel when they transfer their affection to anyone else and that Jeremy's bottled anger is likely to express unexpectedly. 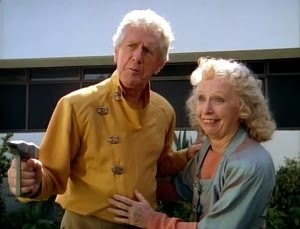 She explains to Picard both the difficulties of her role when dealing with grief and the reward when she is able to help someone rediscover joy. It's clear that she loves her work, knows what she's doing and is committed to Jeremy's emotional well-being. Troi joins Picard to explain why the fake-Marla's plan is not good for Jeremy. At the resolution point Troi basically conducts a group therapy session. 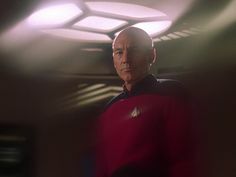 Wesley tells Jeremy about his experience of losing a parent and finally confesses to Picard that he was angry at him for a long time. Jeremy is told that he's allowed to be angry at Worf. Worf accepts that anger and tells Jeremy his experience of being an orphan and being helped by others, he offers that same help to Jeremy. At the start of the episode Troi knows something is wrong before Worf's hail and tells Picard to beam the away team back. It seems like precognition, but I expect it's that she felt the away team's pain when the explosion happened. Troi later senses the presence of the energy being, but there's a lot of grief on the ship which hampers her ability to read it. He's in transporter room 3, just minding his own business, when a blue light appears and darts at him.O'Brien is able to alert the Bridge and security, and the blue light chases him out of the transporter room before knocking over two members of security. People should check out this Chef O'Brien webcomic, it gets a little bleak, but mostly it's amusing. Dr Crusher tells Wesley that Troi has asked if he'll speak to Jeremy. Wesley is clearly uncomfortable about doing that. He and his mother have a talk about his father's death and share a pretty touching mother-son moment. There is much concern about Jeremy and how he will take the news, this is good. Jeremy is left alone in his quarters to watch home movies of him and his mother, this is bad. Who leaves a bereaved child on his own? Surely some family on board could look after him for a bit, or someone could at least sit with him. Picard has always believed it's a bad idea to have children on starships. It's dangerous work and the children don't get a choice in the matter. Troi points out that this might still have happened if Jeremy was on Earth, but Picard counters that Earth doesn't face combat. 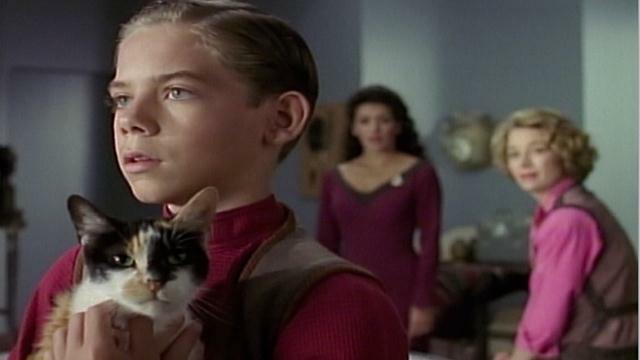 It's true that just being on a starship puts kids in far more danger than if they were living on stable planets. Apparently Star Fleet kids are warned about this kind of thing happening, both Wes and Jeremy have had that briefing, but as Picard points out they don't have a choice. I continue to maintain that Star Fleet is really bad for families. And They Never Spoke Of It Again? So Jeremy and Worf perform a bonding ritual to honour Marl's death. Jeremy becomes part of Worf's family for all time and they become brothers, their families are made stronger. I assume Jeremy is going to go live with his aunt and uncle on Earth, but does Worf ever even encounter Jeremy again? I wouldn't be surprised if Worf's bond with the boy is never mentioned again. I'm pretty sure it never comes up in DS9 either, even though plots in that show see Worf's family status changing. Ship's archaeologist Lieutenant Marla Aster died in an explosion in the line of duty. Worf and Jeremy wear robes and light some big candles. Worf gives Jeremy a sash. They say some Klingon words to honour their mothers and bond to make their families stronger. I'm going to WorldCon this year because it's happening in London and that's a lot easier to get to than a whole different country. I'm not sure what to expect as I've never been to such a big convention before, but I've been told its worth doing at least once. Plus plenty of friends are going, so that should make it good. I realised that being a member of LonCon 3 gives me nominating and voting rights for the Hugo awards. The Hugos are big SF awards, though they usually seem somewhat US/North America-centric (then again so does WorldCon most years). If I have the opportunity to vote for something I usually feel that I should exercise that right (except for TV phone-ins which are clearly for making money and usually about stuff I don't like anyway). In this case it is something I care about and have thoughts on so I've been doing a bit of research and thinking. Some of the voting categories are a little confusing, but this was quite useful in explaining them. What surprised me when I started thinking about the categories was how little fiction I could think of. I consider myself primarily to be a reader and would have thought those categories would be the ones I was most au fait with, especially novels. As it happens I read hardly any new books last year. I heard about plenty I want to read, but didn't get round to reading most of them. This year I'm gonna try and catch up a little and also try to read some of the new stuff people talk about. Once I finish what I'm currently reading there are 2 eligible novels I could nominate. I read short fiction, mostly in Interzone and also bits and pieces online or in anthologies. I also listen to PodCastle, but those are all reprints (respeakings? rereadings?). However this year there are only a few stories that really stick out to me. Again looking back on ones I remember as getting to me they are seemed to have been published the year before. Perhaps I'm not looking in the right places, again there are a lot of sites I hear about but don't get around to reading. Or perhaps it just happens that I haven't been grabbed by much this year. Category-wise I find the short story/novelette split confusing. I don't remember if things I've read are more or less than 7,500 words, I didn't count. I have a lot more opinions about TV and film, which probably isn't surprising if you look at the contents of this blog over the last 12 months. I know Doctor Who does well in these awards, and the 50th anniversary was a big deal, but I can think of other things that are deserving of praise. Film-wise I can think of a lot of big, US films that got attention, I'm also trying to think of UK stuff too. Since WorldCon is in London there's likely to be more Brits in attendance than usual. I didn't think I'd have many opinions on fancasts, fanzines, semiprozines, editors or best related work. However when I started to think about it I realised that in the last few years I've become a lot more aware of fan stuff and how the publishing industry works and have formed opinions on these things. This is another area where I can think of a lot of British people who I would like to nominate, though there are a fair few US podcasts and sites that I also enjoy. I must confess I don't know a whole lot about SF art. I see things, I like some of them, I get how book covers work, but I honestly don't feel that that qualifies to make any judgements or suggestions in the art categories. This may be something I should educate myself in going forward. The previous volumes in this trilogy are Irons in the Fire and Blood in the Water. This review contains mild spoilers for both. The third book in the Chronicles of the Lescari Revolution trilogy sees the fighting continue into autumn and winter after the foreign mercenaries have returned home. It is time for Lescaris to fight for themselves, to show that they are willing to fight for peaceful unity and able to control their own affairs. However old allies become targets as the ideological differences of the initial conspirators lead them into conflict. The surviving Dukes are keen to regain their titles, and one still remains safe in his dukedom. It's fair to say that I had a few expectations about the third book in a trilogy about a revolution. There's so many ways the story could go -even within the broad expectations- and I was interested to see how the Lescari revolution would conclude and what shape a new Lescar would take. It had been a while since I had read Blood in the Water, but reminders of previous events, as experienced in different ways by different characters, are seeded consistently and seamlessly into this book when needed. I wouldn't recommend reading this book without reading the previous two, because you'd be missing out on a good read by skipping them, but it is perfectly possible to read this volume alone. I've realised this book is very much a depiction of the aftermath of previous events, and much of the plot is driven by consequences. The consequence of removing rulers is a power vacuum that others will try to fill in different ways. The consequence of law and order breaking down is that regular folk are prey to criminals. The consequence of a paid army going home is that you will have to find people willing and able to fight for their own land. The consequence of internal unrest is that neighbouring nations will want to get involved. All of these challenges are faced by the conspirators and must be answered. Much of the plot consists of characters reacting to events -a town being overrun by bandits, the new tyranny of a troublesome former ally- but this is not a criticism, far from it. Everything that happens is a result of the characters previous actions, directly or indirectly, and it would be terribly unrealistic for any character to be in control in this situation. The pace is kept up throughout as each character deals with their situation, there's action and intrigue aplenty. As with the previous volumes we get a rounded picture of what's happening as characters on different sides of the conflict deal with different types of problems. Consequences are also important on a more personal level as most characters deal with the results of what they havealready done. Duchess Litasse bears guilt for bringing a depraved mage into her quest for revenge, and as she grows increasingly uneasy about the actions being taken in her name she has to decide what her future will be. Tathrin faced the censure of his family for his part in the revolution, and is thrust into a leadership role he never wanted as he becomes the Captain-General and shoulders the responsibility for the new Lescari army. Aremil and Branca draw apart from each other, as each regrets the things they have done and fears the judgement of the other, but their communication via magic is essential. Even Sorgrad, whose stake in the fate of Lescar never seemed personal, has something to gain or lose as his subtly-disguised romantic feelings are revealed in a way that is wonderfully unorthodox and a testament to the author's skill. Without going into much detail, the ending shows a way forward for Lescar and a chance at respite for the conspirators, who have had a difficult year and want to get on with their own lives in their newly-freed and unified homeland. 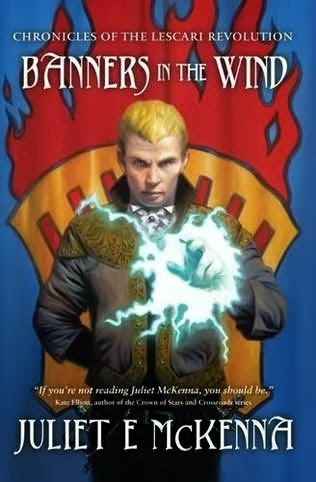 While this is the end of this series I'm hoping that the later books set in the same world will make some reference to how things are going for the Lescari. I suppose I will have to read them to find out for sure. A mystery I didn't figure out by myself and powerful magic. It's, like, practically fantasy. The Enterprise rushes to a distress signal from a colony under attack. When the ship arrives the whole planet has been devastated, there's only one intact building and two survivors in a square bit of grass (what are the chances?). An away team meets a grumpy old man and his hospitable old wife, botanists who retired to the colony. They saw the attack and don't know why they survived it. Kevin, the old man, is keen for the Enterprise to go away and leave them alone. Rishon, the old woman, is friendlier, but even she doesn't want to leave, though their chances of continued survival are slim. Troi hears twee music on loop in her head, the same as the music from Rishon's music box. It bothers her throughout a staff meeting and she goes to her quarters, but can't escape it even in sleep. Dr Crusher tries to help, but knocking Troi out doesn't stop the torment and eventually she has to induce a coma in order to give Troi peace. An unidentified warship turns up from nowhere and ineffectually attacks the Enterprise, before leading the Federation ship away from the system. Picard returns and visits Kevin and Rishon himself, offering them a replicator, which Kevin refuses. It turns out Kevin is a pacifist and they wouldn't fight the attackers with the rest of the colony, but that doesn't solve the mystery of their survival. The mysterious ship returns, looking different and with better weapons. This time it damages the Enterprise and forces retreat, though no one is killed. 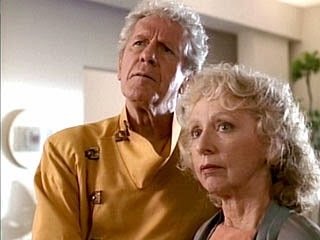 Picard orders the ship to return to the planet, at which point he beams down to see the old couple again. Kevin is surprised and angry and insists Picard leaves. The Captain tells the old couple they're in danger from the warship and that he won't enter their house again but they will stay in orbit to protect them. When Picard returns the warship reappears, Picard orders the Enterprise to hold position and not to engage. 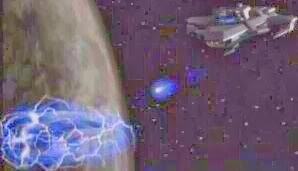 The warship attacks the planet, destroying Kevin and Rishon as the crew look on. After the apparent destruction Picard orders the ship to stay where it is, he's clearly waiting for something. Several hours later the house reappears, as do the couple's life signs. Picard was expecting this. He has the pair beamed to the Bridge and demands an explanation from Kevin, before explaining that Rishon isn't real, she disappears. Picard tells Kevin that a member of his crew is in agony because of him. Kevin turns into energy and goes to Troi's room. Picard finds him there and Kevin says he's taken the music away from here. Kevin explains that he's an immortal being of illusion who fell in love with a human and lived as one for over 50 years. No one ever figured him out before. He refuses to kill and so did not help the colonists, or the real Rishon, in their fight against the attackers. He tried to use illusion to drive the attackers away, but that just angered them. After Rishon died Kevin went insane and wiped out the entire attacking species. Ashamed of this genocide he recreated his old life and hoped no one would ever find out what he did. Rishon was definitely familiar. Turns out the actress, Anne Haney, has been in various things. I think I mainly recognise her as Mrs Zellner, the inspector from Mrs Doubtfire. Picard figures out the mystery much quicker than usual. In fact I'm not quite sure how he figured out. 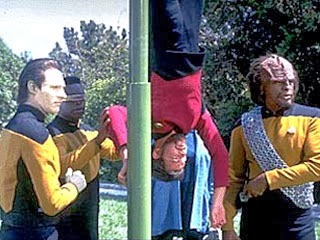 I was still trying to figure out what was going on when Picard was testing his assumptions. It was refreshing that I didn't know what the answer was before most/all of the characters - and no one besides Picard had the slightest clue what was happening either. 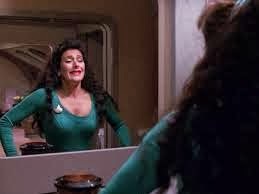 I mean obviously Troi's problems were linked to the old people, because of the music (that only Troi and the audience could hear and only the audience knows is coming from the planet). Also it's TNG the subplot always ties in to the main plot, unless either plot is about a crew member (except Data) experiencing a emotion. What I'm now wondering is how intentional my confusion was. Did I miss a beat when Picard figures it all out? (I don't think so, it's not clear in the transcript either.) Was Picard's process of figuring it out initially fuller but got cut in scripting, filming, or editing? Was it just convenient to the story that Picard knew the answer at a certain point in episode? I suppose I'll never know for sure. "It's difficult to explain. I feel there's something different about these two people. I'm sorry. I can't be clearer than that." Troi says this kind of thing a lot when trying to be of some use as an empath. In this particular case I can understand that she's having difficulty, a magic old man is blocking her, but that isn't the case every time. It's probably her job to try and explain what she can sense, rather than going on about how hard humans are to read and how unclear everything is. 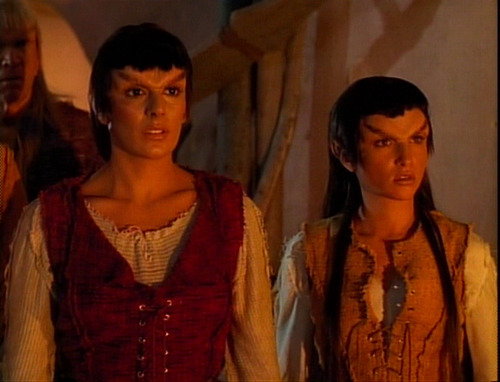 What's also common is that Troi's vague senses don't actually add anything to the plot or the mood. You mean there's something a bit odd about this already very odd situation? Well it's a good thing you mentioned that Troi. I suppose it annoys me because Troi is a good character who is so often badly used. 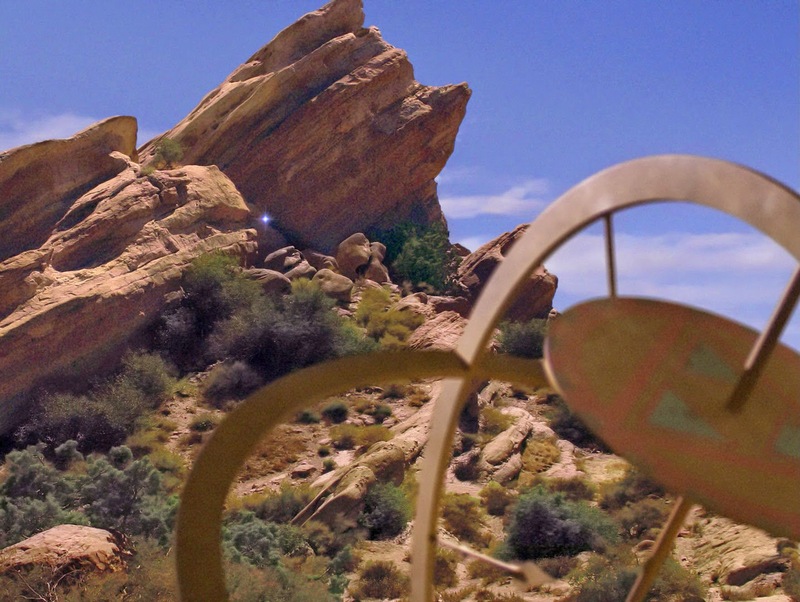 Kevin's pacifism is mostly explained and explored in angry conversations with Picard. I wonder why the word pacifism itself is never used, almost as though the programme was shy of saying it? Kevin describes himself as being of "special conscience" then says he chose not to fight or kill. Picard acknowledges this as his right. The way it's explained it seems like pacifism is an odd, unusual choice. I guess for those in the heart of the Federation utopia it's not really a question, not part of their reality (just as it's not for so many of us). It's different for space-faring colonists, who might face any kind of weird danger (this is only the start of series 3 and already there's so much crazy stuff out in space). I got a sense of disapproval from Picard when Kevin says he wouldn't kill, even to save Rishon, but that may just be because Picard is trying to goad Kevin at that point. The willingness to kill for the ones you love is often a sign of heroism in modern fiction, but when you think about it there's much that's problematic about the idea. The illusory Rishon says she wanted to fight, but stayed with Kevin, presumably that's want Kevin wanted to have happened. In actually Rishon did fight, and Kevin obviously respected her motivations enough not to stop her. It's not clear whether Kevin used his powers to save the colony before or after Rishon entered the conflict, either way his attempts to help sadly backfired. When he saw Rishon's body he went temporarily insane, and was able to commit genocide way too easily. Whatever your views on pacifism in general, it can only be a good thing that something so powerful avoids causing harm. I liked that despite being a mystical being Kevin looked like a very ordinary, curmudgeonly old man. Kevin is an incredibly powerful being. He's been around millennia and can create illusions with substance. (Begging the question as to whether they actually are illusions, and what makes something an illusion? Perhaps I'm getting a bit metaphysical.) He can also destroy an entire species with a thought and blocks Troi's empathy with musical white noise. I'd assumed he might be a Q who left to live a quiet life, but apparently there are different types of ridiculously powerful, magical beings in the galaxy. It all seems pretty fantastical to me. Kevin's power seems a little variable. He doesn't know when the Enterprise returns to the planet until Picard goes to him, even though he's blocking Troi and must be aware of what's happening in orbit. 1. In the lounge the senior staff discuss the mystery of the survivors. Why those two people? What's different about them? Did they collaborate? Do the attackers need something from them? How long can they survive alone? Troi is plagued by an unfamiliar tune, which makes the staff meeting hard to focus on. 11,000 colonists died in the unexpected attack on the planet. 50,000,000,000 aggressive aliens, an entire species, were wiped out in Kevin's reaction to his wife's death. Picard points out that he can't judge Kevin, no one has the means to do that. (Apparently Picard has learned a lesson about the perils of trying to judge powerful beings, let's see if that holds next time he meets Q.) Picard tells Kevin to rejoin the illusory Rishon on the planet. In his log Picard is uncertain whether Kevin should be praised or condemned, but the Captain is certain that he should be left alone. It's one of the more sensible things Picard has said. * Or maybe it's what happens when you're a main female character?? Troi and Crusher are both healers, not fighters or adventurers. They play a more passive, supportive role when faced with danger (as opposed to Tasha, who was a fighter), so danger is something that unexpectedly happens to them, rather than arising as a consequence of their actions. I don't know, but seems like perhaps their gender makes them more innocent/sympathetic victims.